Recently while praying, I realized that I forgot the meanings of many things we say in prayer. And I am sure many of us have the same problem, specially whose mother tongue is not Arabic. Prayer is basically a communication between us and God and how can we talk to God, the Most High, without even knowing what we say. How can we mean something without knowing the meaning of it? Would you ever say something to your loved ones words whose meaning you yourself don’t know? Moreover, I thought what if a non-muslim person approached me and asked what we recite in prayer. I would be able to tell him what we recite in Arabic but I might not be able to explain the meaning of everything. How stupid will such a person consider me then? I realized how we are always busy in rituals, actions, rules of how to worship while the original spirit of worship is lost. Therefore, I found the meanings of the duas we recite to teach and remind myself. Try to learn these meanings and recall them in prayer and If God wills, not only will the quality of your prayer improve, but you will experience a growth in your faith everytime you pray. Transliteration: Subhana Kal-lah hum-ma wabi hamdika wata-bara kasmuka wata’ala jad-duka wala ilaha ghyruka. Translation: Glory be to you, O God, and all praises are due unto you, and blessed is your name and high is your majesty and none is worthy of worship but you. Translation: I seek God’s protection from Satan who is accursed. Translation: In the name of God, the most Kind and the most Merciful. Praise is only for God, Lord of the Universe. 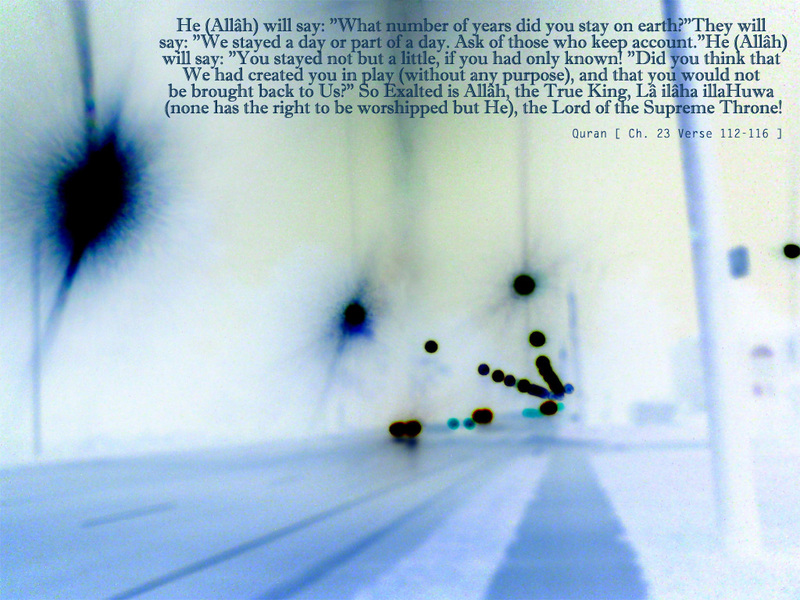 The most Kind, the most Merciful. The master of the Day of Judgement. You alone we worship and to you alone we pray for help. The way of those whom you have blessed. Recite Alla-hu Akbar before going to Ruku. While in Ruku, recite the following supplication 3, 5, 7, 9, 11 or more times. Make it an odd number. Translation: Glory to my Lord the Exalted. Transliteration: Sami ‘allah hu liman hamida. Rab-bana lakal hamd. Translation: Verily God listens to one who praises Him. Oh our Lord, all praises be to you. Before going to the Sajdah, recite Alla-hu Akbar. While in Sajdah, recite the following supplication 3, 5, 7, 9, 11 or more times. Make it an odd number. Translation: Oh God, glory be to you, the most High. and all good deeds are for God. and God’s mercy and blessings. Peace be on us and on all righteous slaves of God. 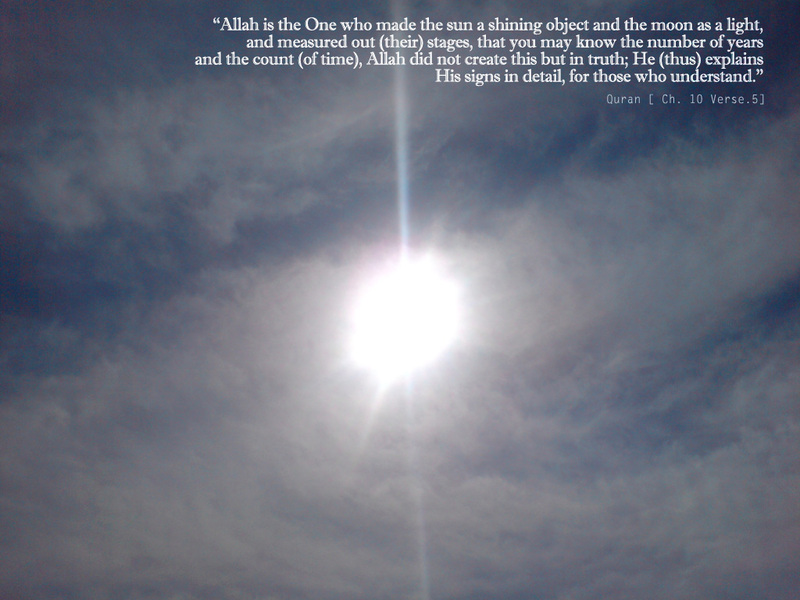 And I bear witness that Muhammad is His slave and Messenger. Surely, you are praiseworthy, the Great. wa lil mu-mineena yawma yaqumul hisab. 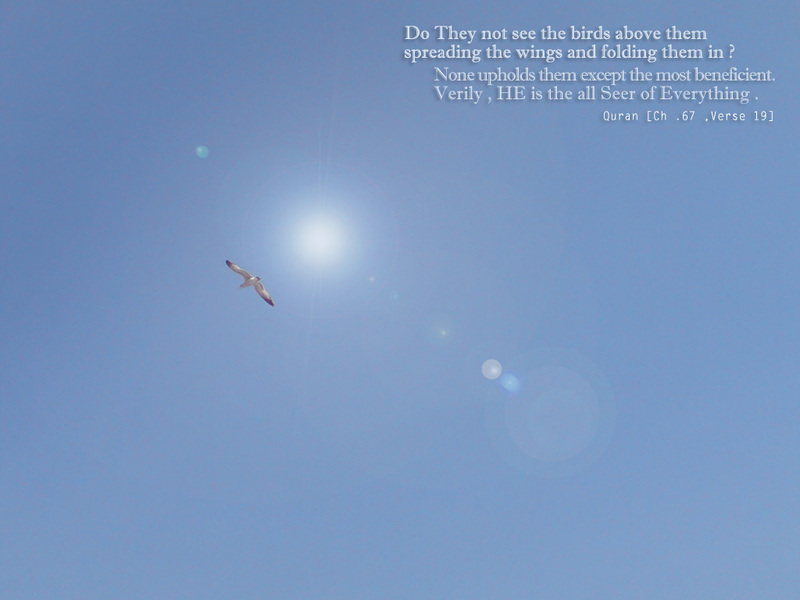 and all the Believers on the Day of Judgement. Finishing the prayer by saying Salam. Peace be on you and the mercy of God. you have given me, and protect me from the evil which you have decreed; verily, You decide the things and nobody can decide against You; and none whom You have committed to Your care shall be humiliated and none whom You have taken as an enemy shall taste glory. You are blessed, our Lord, and Exalted, we ask for Your forgiveness and turn to You. Peace and mercy of God be upon the Prophet. aur waqt ki ye tez raftar..
najaanay kis marham ki talash main hai zindagi..
suraj ko dhaltay dekh kabhi..
apni marzi say bhi kabhi guzaar zindagi. I have been a fan of zenhabits – a blog about making life simple and focusing on what’s important. While there are many people working on simplifying their life who write articles and have blogs, this guy (Leo Babauta) writes the best stuff. Its easy to read, effective and his blog is one of the Top 25 blogs of the world! I disapprove of calling myself(with it comes to religion) anything other than “Muslim”. Some of my methods are more like sunnis, in some cases i am more like shias, some of my thoughts match those of sufis. But this doesnt mean, i have to associate myself with a sect. I respect and consider everyone under the umbrella of Islam who believes in God and worships none except him, believes in the books, the prophets, the day of judgement, Paradise and Hell. “As for those who divide their religion and break up into sects, you have no part in them in the least: their affair is with Allah. He will in the end tell them the truth of all that they did. An example of how i view different sects – Imagine if there are three doctors, one graduating out of Harvard, one from Oxford, one from Cambridge university. How stupid would it look, if they all call themselves “Harvardi”, “Oxfordi”, “Cambridgey” instead of calling themselves Doctors? Religion is very simple, people make it complicated, out of lack of knowledge and ignorance. Stop stereotyping! There are extremists and ignorant people in every group. Just don’t judge a group based on the actions of few. Prejudice is one major reasons for segregation and divisions. Here are a few article with a little more details on Prejudice and Backbiting. Hold on to your dreams of paradise, O Soul! For soon, they will come to reality. So prepare, like a host in hospitality! Then why do you run after the world in brutality? Admire the spiritually rich to rise in spirituality! 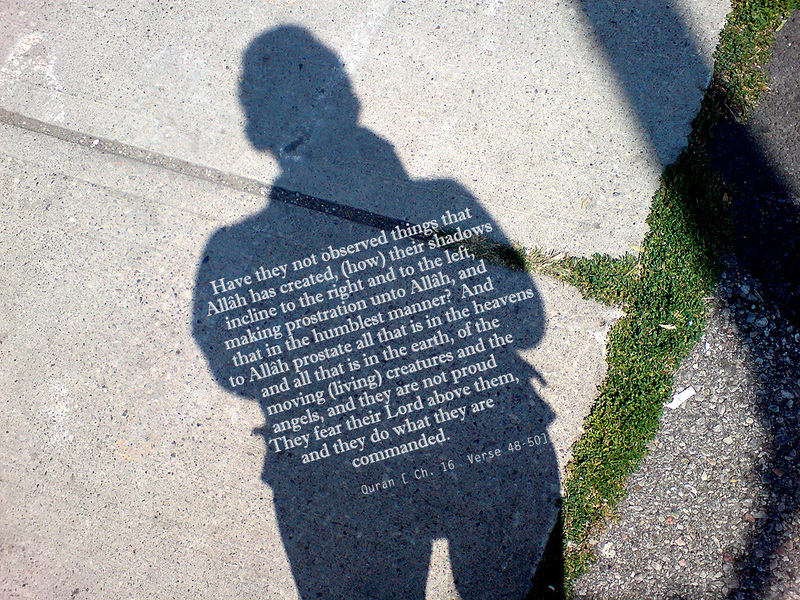 Learn and ponder, for blind following is stupidity. So identify the extremes and redefine normality. I lovedddd this movie.. 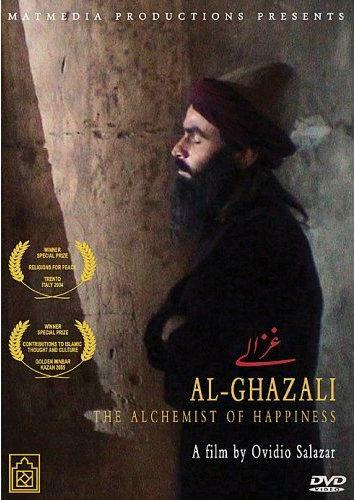 I personally am a Ghazali fan. I am reading his hugee book ‘Revival of Religious Science’…. also read “Alchemy of Happiness”. I recommend those books and the movie to everyone.. I was going through my stuff and found some wallpapers i made few years ago. 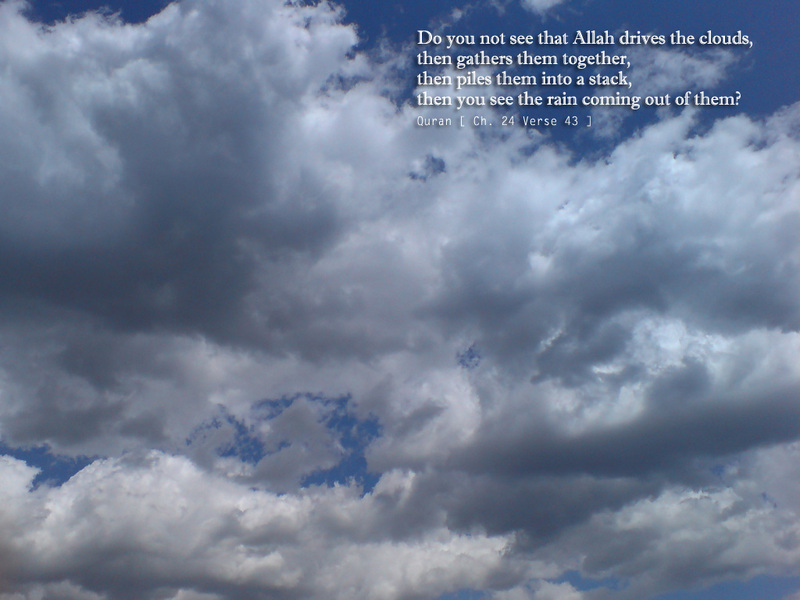 I took these pics with my cell phone camera usually waiting at bus stops 🙂 … I am sharing the best among them.. Verses of God over the images of creations of God… Check em out!